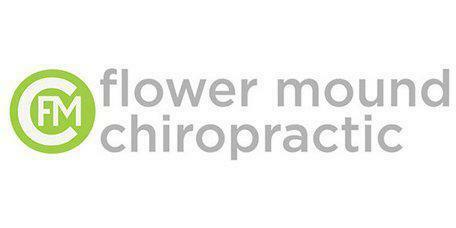 What types of rehabilitation does Flower Mound Chiropractic offer? Chiropractic adjustments are the most common treatments provided by Dr. Ponomarenko. Subluxations, which are slight misalignments of your spine, lead to improper function of your entire body. By putting your body into specialized positions and issuing a quick force, Dr. Ponomarenko can get your spine back into proper alignment. Dr. Ponomarenko has specialized tools to make your chiropractic adjustment experience as comfortable as possible, whether you’re older, pregnant, or aren’t sure if chiropractic care is right for you. These adjustments permit healthy nerve transmission, so your body can respond and heal on its own. You might also benefit from massage therapy. Often, chiropractic care works best when it’s paired with massage therapy. While Dr. Ponomarenko works to align your spine, his massage therapists work to treat your muscles and soft tissue. Massage therapy can improve blood flow and make you feel relaxed, further helping your body heal. Can I get back on track from the comfort of my own home? Dr. Ponomarenko is determined to get you feeling better by providing wellness chiropractic. While you may be diligent about going to your chiropractic adjustment and massage therapy appointments, what you do at home is also essential to your healing. Dr. Ponomarenko is concerned about you as a person, not just your injury or pain. He is diligent in teaching you about nutrition, so you can avoid foods that trigger inflammation. During your visits, you’ll also learn about stress relief techniques you can do at home, in addition to a personalized exercise plan to get you back on track. Vibration therapy may be beneficial during your rehab. If you become injured, it’s likely that you’ll need to rest for a while to fully recover. But during your downtime, you can start losing bone mass. Your skeleton needs constant movement and weight-bearing exercise to thrive. Vibration therapy applies vibrations to your body and mimics the effect exercise or movement has on your body. With regular vibration therapy treatments, you can start building musculoskeletal strength with minimal effort on your part, so your body can continue healing. Myofascial release therapy is another rehab service Dr. Ponomarenko provides. This type of rehab helps loosen up stiff areas in your soft myofascial tissue. Using manual pressing and release motions, Dr. Ponomarenko and his team can use myofascial release therapy to relieve the pain you feel due to soft tissue injuries.